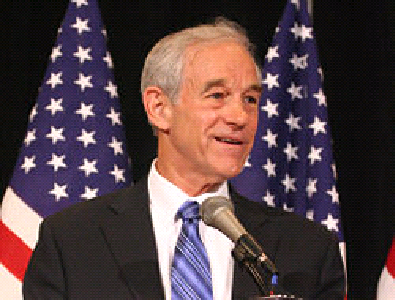 It is apparent that the other Republican presidential candidates would consider Rep. Ron Paul for Treasury Secretary. In this position, Ron Paul would hold influence over the Federal Reserve System and economic policy. To Ron Paul Revolutionaries, would that earn your vote? That is a good question. What power would he have in this cabinet position over the Federal Reserve private banking cartel? Greenspan already gave the Federal Reserve view that no other Agency, government or private, has any power over The Federal Reserve private banking cartel. Can Ron Paul make the Federal Reserve and our banking system work on a non profit basis and as real agency of We The People? If so, then, who controls the money controls the world; therefore, one of main cards in the house of cards would cause crony Capitalism to collapse, and we could have a real free market open to modern energy inventions, and medical cures. This in itself would destroy the stranglehold of Big Oil, Big pharma, and the control of politicians by the Banking Cartels. Very interesting question. Most people don't understand that the ballgame is being played above and beyond the political parties. When it comes to central banking, there is only one party in the US, the bankster party. It might end up being the job he should have been vying for all this time. It would also be the untimate test of his ethical fortitunde. Romney has probably offered it already. I can't see a coalition building with Newt because of his Progressive ideology. Considering Congressman Paul will walk into the GOP convention with 15-20 of the delegates pledges to him, and 25-30% of the delegates free to vote for him after a first round stalemate, he can pretty much name his ticket. Informative sharing. Most of us doesn't justify what the matter.